The Malvern Tudor summerhouse. 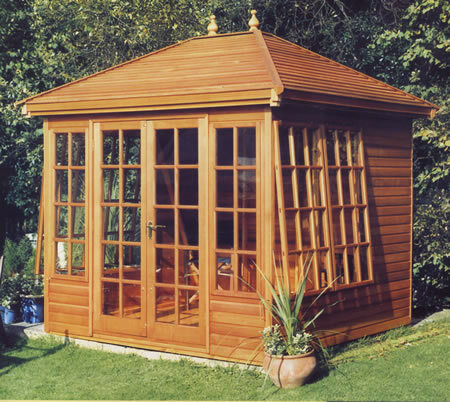 A magnificent summerhouse in the Tudor style. A fully felted solid timber rectangular roof is standard on the Tudor, with the option to upgrade to the Cedar slatted roof. Available in either standard Deal or Cedar in three sizes.